South Portland, ME - Emile Joseph Voisine, Jr. lost his courageous battle with cancer on Tuesday, October 23, 2018 surrounded by his loving family at the Gosnell Memorial Hospice House in Scarborough. 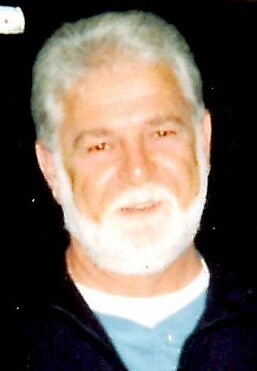 Emile “Joe” was born on August 16, 1948 to Emile J. Voisine, Sr. and Kathleen Morin in Millinocket. He was very proud of his French heritage from both sides of his family. Joe attended Cathedral School and spent over 30 years working as the Maintenance Director for The Sisters of Mercy, many of them taught him at Cathedral, but loved him anyway. He served in the Army from August of 1968 to September of 1970 and was in Vietnam, something he never talked about. In 1974 he met the love of his life Eleanor “Ellie” Darling; they married on April 12, 1975. He acquired a 12 year old daughter in this union whom he loved and treated as his own. In those early years Joe worked for his brothers-in-law at Maine Roofing then at McBradys Roofing company before going to The Sisters of Mercy. Joe loved the Patriots and the Red Sox. He loved Maine Mariners hockey, a passion he shared with his son Joey and his mother Kate. They went to every home game. He was a fabulous woodworker; he made many shelves and bookcases for his family and friends. He was a very loyal and selfless man; putting everyone before him until the end. The Sisters always knew they could count on him for anything they needed. He was dedicated to them. It was evident in how they treated him and the prayers, tears, and loved they showed to him. Joe was predeceased by his parents, his wife, and many loving aunts and uncles. He is survived by his daughter Jodi Darling and her husband Dana Peterson, Sr. his son Joseph, all of South Portland. His brothers Rodney and spouse Marilyn of Bristol Ct, Alfred and his spouse Carol and Paul, all of Westbrook. His grandsons Christopher, Michael, Dana Jr. Peterson and great-grandson Joseph Peterson. His companion Marcia Reilly, many nieces, nephews, and cousins. A memorial service will be held on Saturday, November 10, 2018 at 11 a.m , St. Joseph’s Church 673 Stevens Ave, Portland ME.